This base paper can be laminated to foil for blister packaging applications including over-the-counter and prescription medications, vitamins and/or supplements. It can also be laminated to film for other medical packaging paper applications. 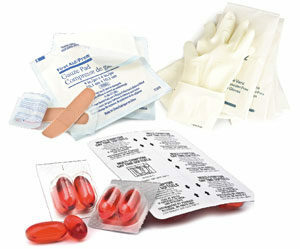 wrapping surgical gloves, medical catheters, surgical sutures, injection equipment and bandages. By nature of its end use, our healthcare and pharmaceutical packaging material require traceable manufacturing and state-of-the-art quality control processes. Medical Base Papers are custom designed to meet the needs of individual customers. Please contact us to discuss your specification requirements.